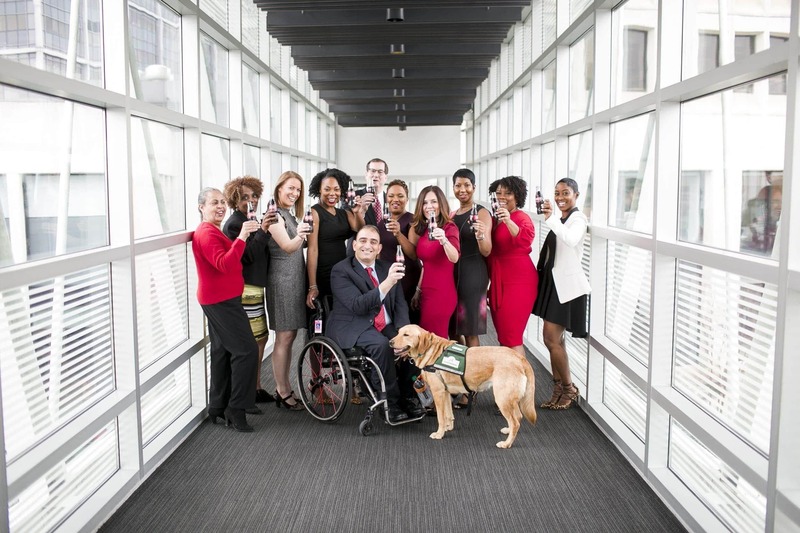 As Director of Community and Stakeholder Relations at the Coca-Cola company, I manage philanthropic relationships with Hispanic, Veterans and disability-focused partners. I also manage volunteerism for the company, our relationship with United Way, and am president of Coke’s This-ABILITY Business Resource Group. Man—it sounds like a lot written out like that. I just happen to serve those functions from a wheelchair. I already worked for Coke when I lost the use of my legs due to spinal cord injury. And although there have certainly been adjustments for me at work, the accident has not stalled my career. I have, however, noticed one major change in my professional life: My co-workers have become much more comfortable around people with disabilities. My colleagues, of course are all good, earnest people, but there’s no substitute for simply being exposed to disabilities in a day-to-day way. 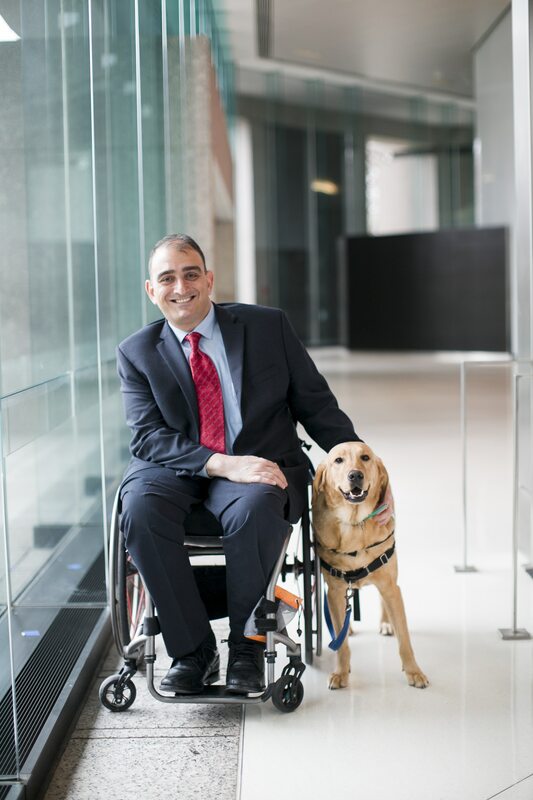 They no longer ask questions like “How will you…” Instead my disability is just another mundane part of life at the company, which has been incredibly supportive, and ensured that I have everything I need to do my job most effectively (including a release area for my service dog, Martina). Although my accident has not significantly impacted my professional life, it has impacted me personally, and one of my proudest accomplishments is founding the Wheels of Happiness Foundation, a non-profit dedicated to supporting disadvantaged kids and adults with disabilities. Since its creation in 2011, Wheels of Happiness has helped over 100 folks (and counting) in Venezuela, Colombia, Kenya, Uganda, India, and Panama by providing medical equipment, supplies, scholarships and funds for therapy and surgeries. As I look towards the future of my life and career, my plan is simple: to keep going. I desire to continue working in the area of Corporate Social Responsibility, and developing as a D&I executive. But more specifically, I want to help combat stigmas around minorities, particularly people with disabilities. And I’m grateful to work for a company that not only supports me in these ambitions, but actively shares them.